Great reporting is essential to optimize your campaign. Our real-time campaign reports are crystal clear and easy to analyze. Track your app's Google Play ranking in different countries and app categories. 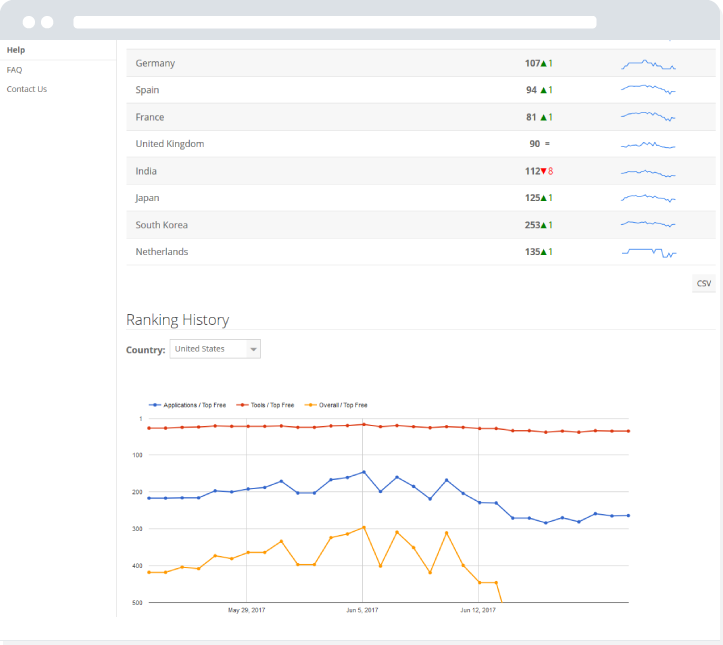 View the ranking history of the past 30 days and benchmark your app's ranking against the rankings of your top competitors. Learn how you can improve your app to get more downloads. The AppBrain Apptimizer investigates key aspects that influence your app's popularity and suggests concrete actions when weaknesses are detected. 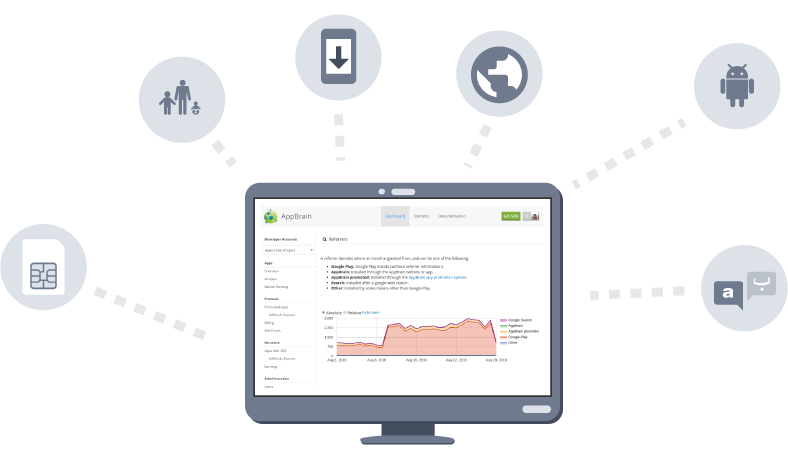 Integrate the AppBrain SDK and you'll get free access to the built-in user analytics. 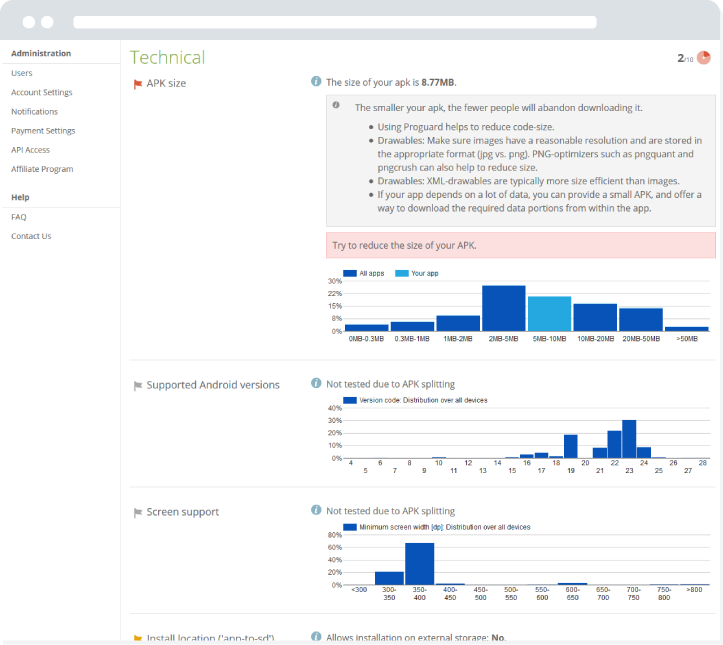 The AppBrain SDK gives you insights into your user properties, install referrers, user retention rates and more. It allows you to measure user engagement by tracking custom post-install events in your app. You can also use these post-install events in your install attribution statistics to measure the user quality of your acquisition channels and determine which channels works the best for your app.